I do this every single year; I think about the year gone by. Where most of my friends just focus on the year ahead, I can’t help but reflect on the year that’s just gone by. So this first blog post of 2014 is my reflections on 2013. 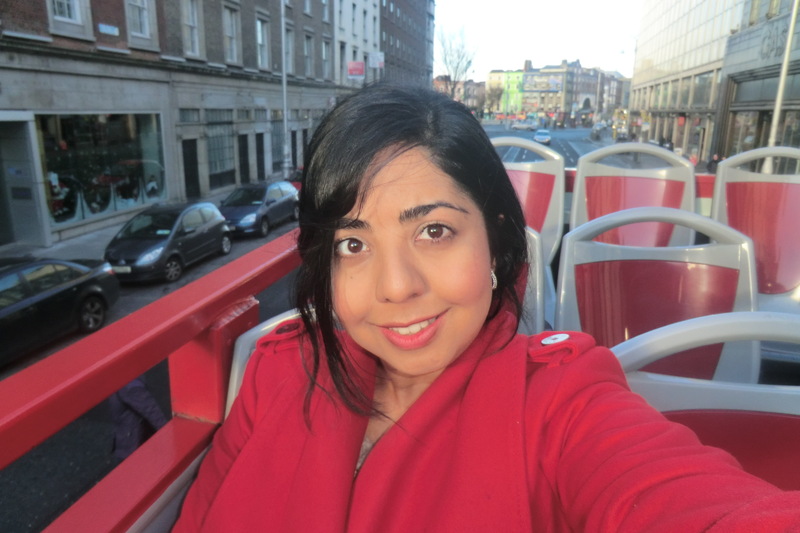 I woke up on the first day of 2013 in Dublin – I had just made it through one very long year! I was only going to be in Dublin for another day, so I wanted to make the most of it before heading back to the UK and starting the year properly. Safe to say, I had one of the best days of my 2013. 2013 was a funny old year. A lot happened – some fun, some not so. There was a lot of learning that took place in 2013 – a hell of a lot! During 2013, I’ve laughed, I’ve cried, I’ve travelled, I made friends and unmade friends, I’ve learnt a lot, started a new business, won an award, met new people, celebrate two birthdays – yes really! Had lots of dinner parties and got very little sleep. There were things I’ve always wanted to do that I did, some I didn’t manage. But I have learnt not to hold regrets and see the learning in things that didn’t go as planned – but have contributed to the making of me. Towards the end of the year, when I spoke to a friend about the year it had been, she said something striking to me. She said “2013 has been a clear out year for a lot of people.” That was spot on for me – it was definitely a clear out year. I couldn’t have described it better myself. Although it wasn’t a particularly great year, I am glad it was what it was. If it was all great, I wouldn’t have got as much learning from it. I wouldn’t have changed and been moved by the things that had happened. I would have just been the same and only enjoying the good times – and that’s not life, is it? I needed to have gone through the bad of 2013, to appreciate the good times ahead. I know no situation is permanent, it isn’t always happiness as well as it isn’t always sadness. I made my way through the two – but definitely gaining a lot more learning from the sadness. In all honesty, I don’t know if 2014 will be any better. I certainly strive for it to be – who wouldn’t? I’ve tried to plan for it to be better by some of the things I have planned to do, see and experience. But I am aware plans have a mind of their own at times. One thing I do know about the year ahead is that whatever it brings, I’m going to handle it with the view of it being the making of me! February was a funny old month. It always is, isn’t it? My February started fantastically where I broke my own rule. I try to not go and visit the same place twice, but I had booked a trip to Dublin (again) with my friend Lucy in April. We were being brave by not booking any luggage, just taking hand luggage. I think we have changed our mind and WILL be taking one suitcase!! I also got a surprise phone call at the start of the month. I had been nominated for the Young Achiever’s category for the English Asian Business Awards and made the finalist. I was thoroughly taken aback and honoured to be nominated and named a finalist. I don’t expect to win, as there are great contenders but it’s lovely to just have the news of having made the finalist. The awards ceremony is on 8th March and my family will be there on the night – and that’s what I’m most looking forward to. I also went to a motivational event with regards to my new business venture. It was great and inspiring. However, two days after the event, I fell ill with my first experience of tonsillitis. If you’ve ever had tonsillitis you’ll know how awful it is. There were couple of times where I thought I was going to die. I had to take a week or so off work. I was worried that I might have to cancel my trip to Paris the following week. But luckily the antibiotics kicked in and two days before I was due to leave, I started feeling a little human. As I was flying with Air France, the luggage allowance is 23kg – for a long weekend, I was nearing the limit. It was this that convinced me that I couldn’t not pack a suitcase for Dublin. I went to Paris with 6 other girls. It was fun but Paris was bitterly cold. It even snowed. We did the usual touristy things such as see the Eiffel Tower, Notre Dame etc. It was just good to get away but I could have done with fully recovering before going. As there were 7 of us and due to the bitter coldness, we didn’t get to take in much of the city. I wanted to go off separately one of the days, but I wasn’t feeling too great and decided to stick with the others most of the time. I didn’t speak much French but due to my iPhone App, I was able to get by quite well. I probably would go back when warmer and either by myself it with a much smaller group – but not in a hurry. There’s much more of the world I’d like to see. Having come back from Paris, I was getting back into the swing of work and it has been quite busy. I’m looking forward to March and hopefully the warmer weather. I was really looking forward to the start of 2013, it had been long awaited. There was so much I plan to do with this year, and the only problem is that I probably don’t have enough time to fit it all in. I ended 2012 and started 2013 in Dublin. I was having the perfect few days in Ireland and my trip was soon to come to an end. I spent the first day of the year having a tour of Dublin and then actually queued to go to have a tour of the Kilmainham prison. I was fascinated by the tour as by this point of my trip, I was really interested in Irish history. At the end of the tour, I got talking to Niall who was the tour guide. We spoke lots about the history of Ireland, and he bought me a book as a present, which I was very touched by. He said I was the only person who actually had stopped back to ask questions – and I was just glad I wasn’t being annoying by stopping back to ask them. The first week of January involved a lot of planning for the year ahead. I even managed to meet an old friend for coffee – as I couldn’t remember the last time I met her. In the second week of the year, I had a business opportunity introduced to me, in a new sector. I wasn’t looking for another business but it is something that I am very interested in now. January also saw the second Connect in the City Manchester business networking event and the first one in Nottingham being held. Both went amazingly well, with great turn out and didn’t end until late – which is always a good sign! Being a natural networker, business networking is what I was born to do! There was also something I have always wanted to do, but have never been brave enough to see it through. This was a personal goal and I want to actually achieve it in the first quarter of the year. I haven’t told many people about it, I have mainly kept it to myself and only told 3 people who are close to me. It may take some weeks, but so far I am enjoying this (mystery) goal and cannot wait to tick it off my list! In January, I also booked a trip to Paris with the girls. I was rushed off my feet one day when I had a call asking me if I wanted to go to Paris. That was actually my next holiday destination. However, I had 10 minutes to check my diary for the dates in February as a friend was booking the tickets straight away. Of course my answer was yes and whatever I had in my diary could be re-arranged. So there’s 8 of us girls heading to Paris for a long weekend and I can’t wait! After Dublin I really caught the travel bug. I am also planning another trip back to Dublin with a friend! I am breaking my rule of not going back to the same place twice. Yes, I enjoyed Dublin THAT much! Earlier this week I went to an awards ceremony in Manchester, it was very last minute but something in me told me to change my plans for it. I had a client nominated for the awards but knew he wasn’t actually going but I still went and went alone. I am glad that I went. I met some great people, some of whom I met accidentally – as is usually the case. As I was booked into a hotel, I was in no rush to get back, apart from to catch up with some sleep. I somehow ended up staying back to help the organisers with some of the stuff that has to happen at the end of an awards ceremony. As it happens, I didn’t actually get back into my room and to sleep until 6am! Needless to say, I didn’t get much of that beauty sleep. That’s just a few of the things that happened in January. 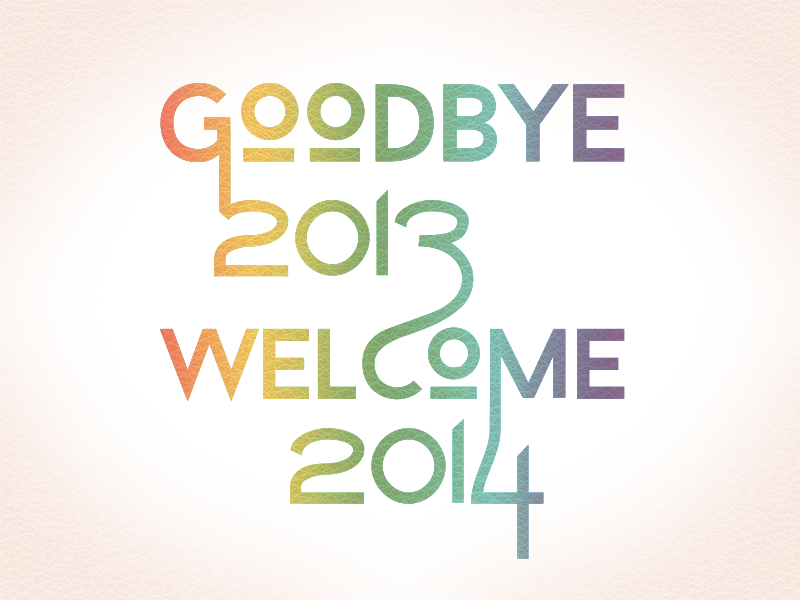 Lots more happened which shapes 2013 to be a great year. Each year, I make a list of people I have met with the aim of meeting 365 new people each year. It sounds a tough task, but isn’t actually – at the end of each day I just write down the name of the person I met at the back of my diary. I love getting to the end of the year (and even each month) looking at the list of people I have met. This month alone I have met 70 new people. That’s already over double the target – start as I mean to go on, I say! Bring on the rest of the year! Hope it’s been a great start for you too.